I often get asked “do you think I should build a new website or update my existing site?”. Of course, like most things, there is no definitive answer. But it’s a bit like the tricky decision process required when changing your car. Well, because buying a car can be a complete dilemma involving endless research, investment decisions and it takes time you simply don’t have! And then there’s the – shall I change it this year or next decision… If I leave it until next year will it still work? Will I face repair bills and does it have enough seats for our growing family? Or shall I just invest in a brand new one with the comfort of knowing it shouldn’t breakdown, won’t need repairs and it will have enough seats for everyone. Of course every business is unique, including yours. 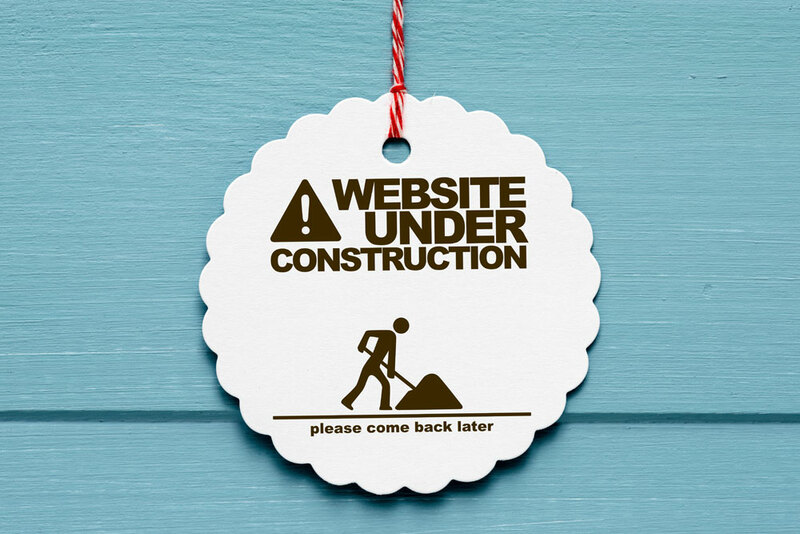 So shouldn’t the decision about when to build a new website be a very personal one? Absolutely it should. And there will be many factors involved. Let me try and unravel the dilemma of when it might be time to wave bye bye to your website and embark on a new website journey. Here are the 5 main reasons I find why businesses decide it’s time to take the plunge…in no particular order!! When you built your website you were one step ahead of your competitors, with all the latest tech and features. You just checked out a few of your competitors and … WHAT? Many have built newer websites and suddenly your website looks dated. Ouch, you spent time and money building that site and now it looks old – that’s it, you need a new one! Your website just isn’t supporting the business strategy. It doesn’t have a blog function. It doesn’t allow clients to make appointments on line or leave feedback. It isn’t able to qualify leads and it doesn’t integrate with your systems. In other words your website “can’t”, “won’t” and is giving you a headache on most days. Your website is still not mobile enabled despite everyone telling you it should be. You know you need a site that is easy to navigate on mobiles, tablets and desktop. You’ve had it with everyone telling you so. You have everything on your website that should be there… About Me, testimonials, information about products/services, contact me etc… But your products and services have changed since you built your website. Somehow, your website just does not reach out to your ideal client, but you can’t put your finger on it. You need to embark on your SEO journey but you are not sure if your existing website is going to support that or if you just need to start all over again. Where should you begin? You’re probably reading this because one or some of the above apply to your business. Am I right? So, I bring you back to the car analogy. Are you going to buy a brand new one or keep the old one going for a while longer? How will your business know when the time is right? Let me know your thoughts.